Product prices and availability are accurate as of 2019-03-22 02:07:55 EDT and are subject to change. Any price and availability information displayed on http://www.amazon.com/ at the time of purchase will apply to the purchase of this product. 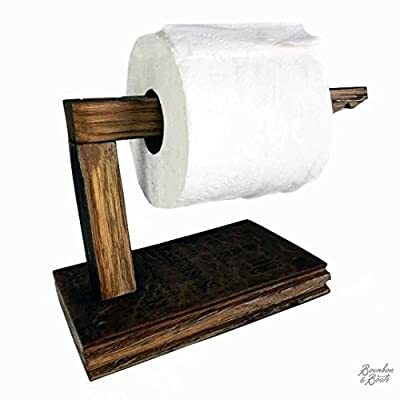 This handcrafted bourbon barrel toilet paper holder is a perfect addition to add function and rustic decor to any home. Why have a mass produced import accessory in your home when you can have a piece of American history for your daily enjoyment. Our maker artisans have handcrafted this toilet paper holder from a reclaimed bourbon barrel from Kentucky. 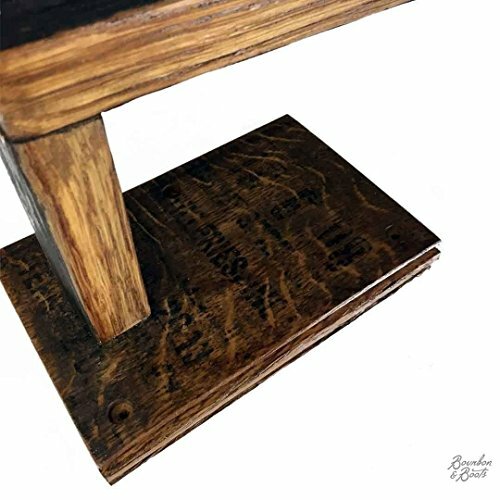 The reclaimed bourbon barrels staves feature the char of the original barrel. Just a few months ago this wood was a barrel aging bourbon in the rick houses of Kentucky. Once the barrels have completed their original purpose of aging fine Kentucky bourbon, we reclaim them from the distillery and our artisans break down the barrels; cut and sand the base from the top of the barrel, and use the barrel staves as the holding fingers for the piece. Each handcrafted piece is coated with a food grade stain to ensure years of longevity and preservation of the piece. 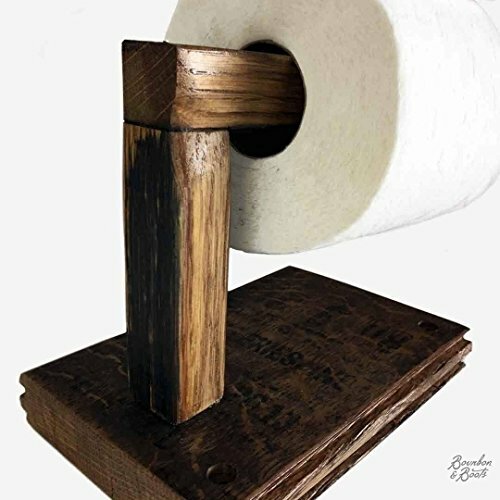 The bourbon barrel toilet paper holder is designed to be wall mount with two countersunk holes pre-drilled for easy mount to a bathroom wall. Available from Handcrafted Bourbon Barrels reclaimed from Kentucky.